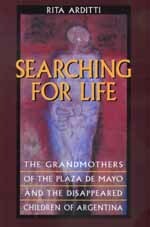 Searching for Life traces the courageous plight of the Grandmothers of the Plaza de Mayo, a group of women who challenged the ruthless dictatorship that ruled Argentina from 1976 to 1983. Acting as both detectives and human rights advocates in an effort to find and recover their grandchildren, the Grandmothers identified fifty-seven of an estimated 500 children who had been kidnapped or born in detention centers. The Grandmothers' work also led to the creation of the National Genetic Data Bank, the only bank of its kind in the world, and to Article 8 of the United Nations Convention on the Rights of the Child, the "right to identity," that is now incorporated in the new adoption legislation in Argentina. Rita Arditti has conducted extensive interviews with twenty Grandmothers and twenty-five others connected with their work; her book is a testament to the courage, persistence, and strength of these "traditional" older women. The importance of the Grandmothers' work has effectively transcended the Argentine situation. Their tenacious pursuit of justice defies the culture of impunity and the historical amnesia that pervades Argentina and much of the rest of the world today. In addition to reconciling the "living disappeared" with their families of origin, these Grandmothers restored a chapter of history that, too, had been abducted and concealed from its rightful heirs. Rita Arditti is part of the Core Faculty at the College of Graduate Studies of the Union Institute. She is coeditor of Test-Tube Women—What Future for Motherhood? (1984) and Science and Liberation (1980). She lives in Cambridge, Massachusetts.